After Breakfast at hotel’s restaurant, you can enjoy your day for shopping & exploring the city,on your own. 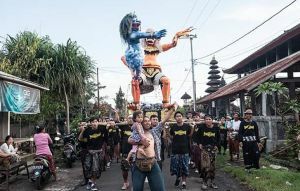 Bali is famous for paintings, artefacts, clothings. So you can enjoy shopping local market for these things and many other options, at good prices. Around 02:30 pm, we will pick you up for tour including visit to Uluwatu Temple & Kecan Dance. On the way to Uluwatu, we will also show you Padang Padang Beach (if available), where you can enjoy this beautiful beach, for 30 – 90 minutes, depending on the time available. Kecan Dance show performed at the side of the temple with beautiful view, by local artists. After the Kecan Dance show is over in the evening, we will pick you up from the pickup point, for your way back to the hotel. Then back to the hotel for rest. After Breakfast at Hotel you are free till your pick up for 02 hours Massage & Spa Session, in the afternoon around 12:45 pm. After the massage In the evening we will take you to the benoa harbour for Sunset Dinner Cruise, where you can enjoy your time having local drinks, enjoying local music, and shows, DJ, and scenic Beauty for Bali & its beach area. There will be International Buffet Dinner on the cruise (In case you are a vegetarian, than please inform us in advance, as Vegetarian is very limited on Cruise). After the cruise is over, we will drop you back to the hotel. Night stay at the hotel. After Breakfast, checkout from the hotel. Time free till your flight to Singapore. You will be transferred from Hotel to Bali Airport. 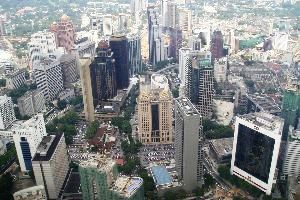 Take your flight from Bali to Singapore. Arrival at Singapore Airport. After the Visa Formalities, at the airport, our representative will meet you at the waiting outside the Airport. Transfer from the Airport to the Hotel. Check in the hotel, and rest of the day free for rest & leisure on your own. Breakfast at the hotel’s restaurant. 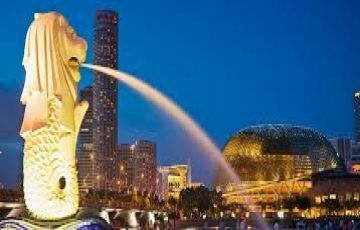 Around 09:00 am we will pick you up from the hotel, in the morning, for half daySingapore City tour. You will enjoy the city and its different sights which are included in the city tour. After the city tour is over, the tour guide will drop you back at the hotel, for little rest. Around 01:30 pm – 02:00 pm, we will again pick you up for Half day Sentosa Sunset tour , which includes Admission, 1 Way Cable Car, Underwater World, Dolphin Show (premium Seats), Wings of Time. Little Snacks will be provided during the Sentosa tour. In the evening, After the sentosa tour, at a specific time we will pick you up and drop you back to the hotel. Night stay at the hotel. After Breakfast at hotel’s restaurant in Singapore, Please Check out from the hotel, before 1200 hrs (12:00 pm), as it is an International standard time for check out. (Till your pick up time, you can drop your luggage in the Lobby, and enjoy the local market, and nearby area). Depending on your flight / Bus timings we will pick you up from the Hotel for your transfers to the Airport/ Bus station, for your flight to next destination. 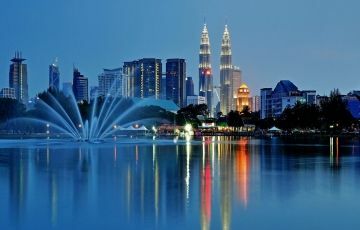 We can provide you the transportation between the Singapore – Malaysia by road, at very nominal cost. During these transfers it take around 06 hours in total. After your Journey between Singapore & Malaysia, On arrival at Kuala Lumpur airport/ bus station, and visa formalities, we will pick you up from the airport / bus station and drop you at the hotel for rest. 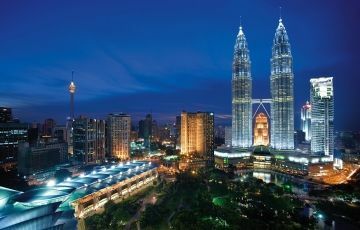 Night stay at the Kuala Lumpur hotel. Breakfast at the hotel’s restaurant. Around 0900 hrs Pick up for the hotel’s lobby for half day tour on SIC (Sharing) basis. Visit to King Palace, Independent Square, National Mosque, KLCC – Photo stop etc. After the tour we will drop you back to the hotel for good rest. You can also enjoy the city on your own, with some self guided tours, and also shopping at Bintan Market Place, famous for shopping all over the world. Night stay at the hotel in Kuala Lumpur. Breakfast at the hotel’s restaurant. Check out from the hotel before 1200 hrs (12:00 pm) Drop your luggage at the hotel’s lobby and enjoy your time in Shopping, and exploring till your pick up time, for your transfers to the Airport for your flight to the next destination / home.